Today starts as a bright cold day as I get the early bus out to Coldingham. The village grew around an Abbey that was built and was later destroyed by fire. Later on a Benedictine Priory was built of which you can still see some remains. I walk a few miles out to the monastery at St Abbs Head. It was founded by a princess called Aebbe. The fire that destroyed the monastery was attributed to disorderly behaviour between the monks and the nuns. 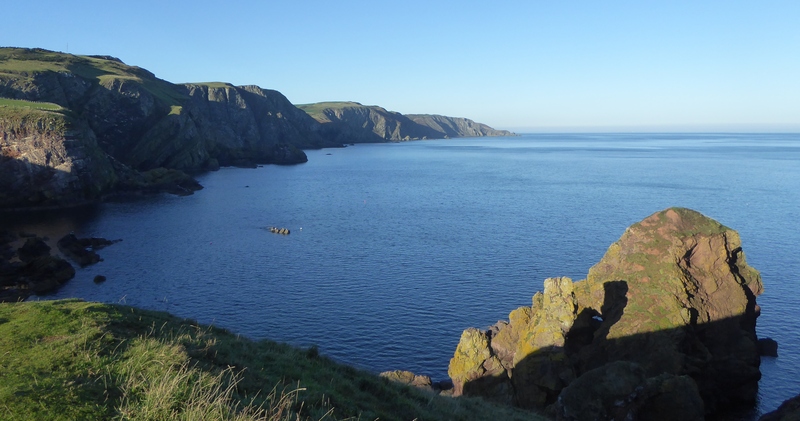 From St Abbs Head you get very distinct views along the coastline of Berwickshire. Today the sun was strong casting long shadows where I wanted to take photos. It is a Nature Reserve providing nesting area for seabirds. 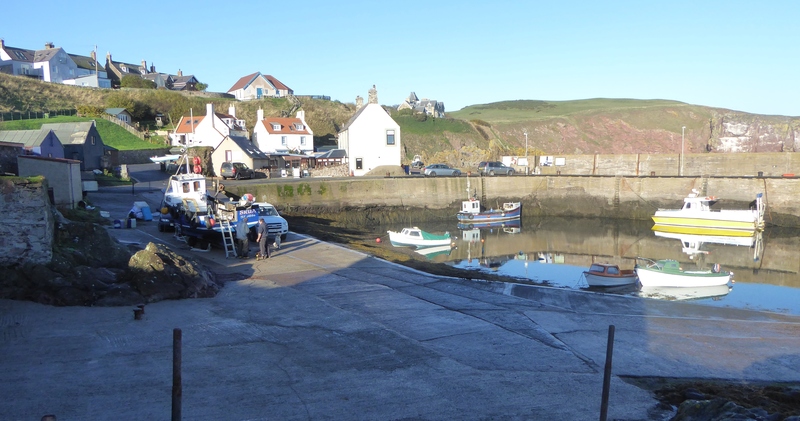 The village of St Abbs is a fishing village of two parts. The harbour area with a collection of boats around the quayside and the area by the cliffs with quaint fishermen’s cottages. I leave St Abbs passing a scuba diving school and along the sweeping sands of Coldingham Bay towards Eyemouth. The town of Eyemouth is both a working fishing harbour at the estuary of the River Eye. The town also has a seafront with a beach. As I leave Eyemouth I pass a big imposing house at the mouth of the river, this is Gunsgreen House which is claimed to have hid illicit goods for smugglers. Another little village I stop at is Burnmouth where I find a seat above the harbour and stop to eat my lunch. There is a pub there called the “First and Last” which is rather appropriate seeing we are close to the border. I cross the border back into England and by the time I get to Berwick it is getting dark and foggy. 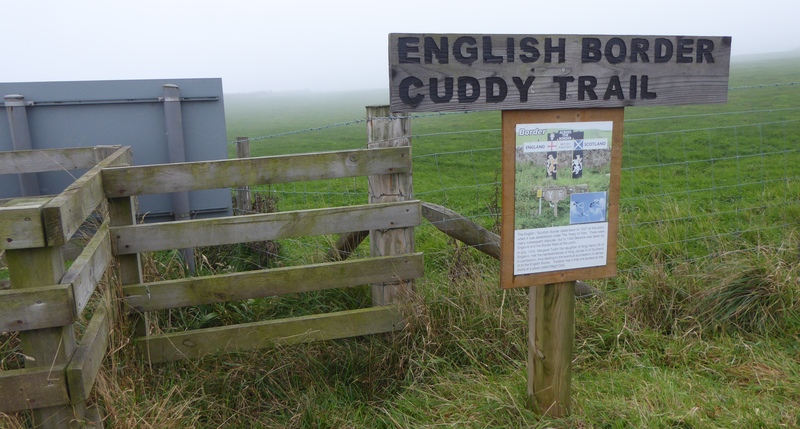 This entry was posted in Northumbria, Scotland, Scottish Borders and tagged Coastal Walking, England, Eyemouth, Scotland, St Abbs Head, Walking. Bookmark the permalink.